Here is a fresh look at Italy and Rome from the perspective, not of a tourist but of a long time resident, albeit a foreign one. 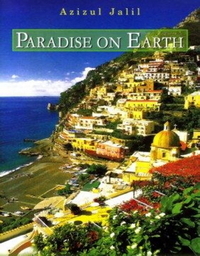 The charm of everyday Rome, the romance of history, the adventure of the expatriate’s eternal quest for home, the poetry of seasonal transformations, the eternal mysteries of relationships, the kaleidoscope of life in Italy in general and of ome woman in particular, are some of the myriad themes in this collection of articles and poems. 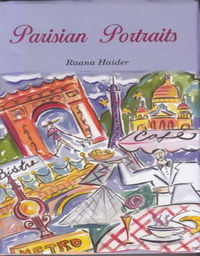 Neeman Ahmad Sobhan, living in Rome, Italy, since 1978, has been writing a personal column in the Bangladeshi national daily, The Daily Star and its Star Weekend Magazine, spinning little vignettes and sketches out of her daily encounters and reflections in the eternal city. Here, in vivid prose and poetic detail, are selections from her work, embroidered by delicate ink sketches and other illustrations by Italian-American artist/writer Ginda Ayd Simpson.